Gruline Home Farm - The Isle of Mull Gruline Home Farm Bed and Breakfast, Gruline, Isle of Mull, Argyll. PA71 6HR. Gruline Home Farm is centrally located in Gruline on the Isle of Mull, Scotland. 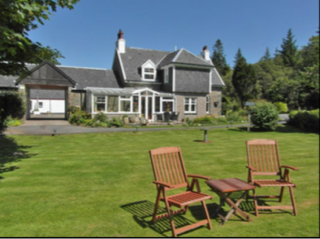 Ideally located for travelling in and around the beautiful islands of Mull, Iona, Ulva and the many other smaller islands. We have two en-suite rooms, available with either super-king or twin beds, plus access to guest lounge, conservatory and gardens. Breakfast is included in the room rate and is served in the dining room. Please contact us for more information on tariff, availability and booking.